This season Moussa Sissoko has played 40 games in all competitions for us this season. I`ll just leave that with you for a moment? The Frenchman is not necessarily a bad player, but at times I have been scratching my head to try and work out why Pochettino has used him so often, despite his lack of end product. The player does have his good qualities, his power and direct running can be of useful to break forward, especially late on in games when the opposition are tired out. He can pick out a pass as well, and create chances. Yet, the numbers speak for themselves. Since his arrival at the club for £30million Moussa has scored just twice and assisted nine other goals. It`s not a good return, and it`s the main reason why many would like to see him leave at the end of the season. However, I`m still not sure that will happen. There is a huge disconnect between how managers see the midfielder, and how fans see him. Successive managers of the France national team certainly see something in him. He has 53 caps for France, 33 more than N`Golo Kante, 4 more than Paul Pogba and Antoine Griezmann, who are only a couple of years younger than him. Are we missing something that professional coaches can only see? I don`t think we are, and I believe his consistent selection at both club and international level in the past has been down to his adaptability. His athleticism means he is able to play a number of positions in different tactical set ups. This season, Poch has selected him from the start, or from the bench, to play on the right, on the left, in central midfield and in some instances as an attacking midfielder. At Euro 2016, he starred playing from the right for Didier Deschamps` team, yet despite his performance catching the eye of observers, he did not score or provide an assist during the side`s run to the final. He was also coming off a back of a season where his Newcastle had been relegated to the Championship although he had played more consistently during that season, with eight assists in all. He was certainly overpriced when we bought him, mainly due to his profile being risen after his exploits in a summer tournament. An inconsistent player with flashes of inspiration is what he has always been, and he remains the same to this day. I`m certainly not alone in thinking that after two seasons, he could be on his way out, having had little impact, but I`m still not entirely certain of that. 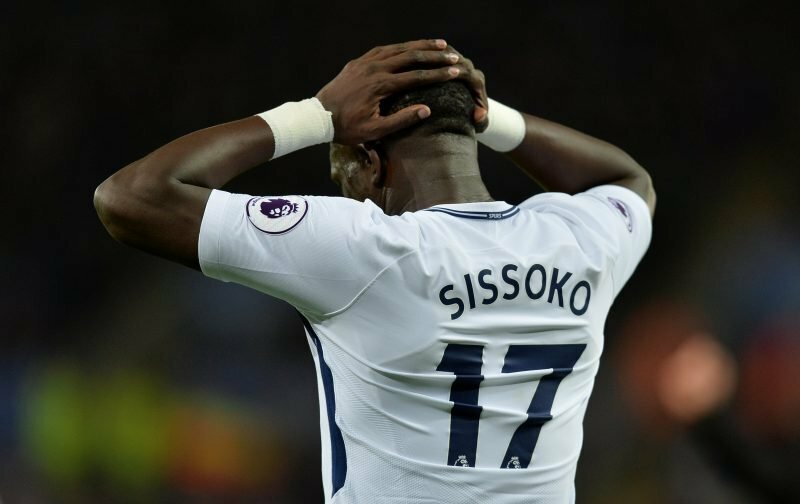 Will Sissoko leave at the end of the season? Let me know in the poll. Sissoko and Dembele are vying for the same role in CM. Sissoko is similar to Dembele in that always looks to pass forwards or get things moving. Good player in the centre of the park and much needed end of especially to take pressure and lighten the load off Dembele. Quality player – Mr Marmite probably bit like Lamela but defo worth keeping – excellent work-rate even if his langid style suggests otherwise. Firmino backs me up, well actually went further calling him top class – got to value the man’s opinion or maybe it comes from his own manager!! Sissoko is an excellent tactical player. He reads the game well and positions himself correctly. He knows when to break forward, when to make runs and what runs other players should make so his passes are generally going in the right direction. He also has pretty decent interception and press instincts. Where he falls down is in execution, timing and control. He will make a most exquisite run forward and then stumble over the ball or run with the ball completely mesmerizing the opposition and then his pass will be just that off its mark. But his efforts and work rate far outweigh his failings and that?s why his Managers as well as other players like him. To be fair – Dembele is now getting all his richly deserved plaudits but he still fails to get many assists and even less goals to his name so it may also be considered when analysing Sissoko seeing as they play in the same position and in a similar way. To lambust Sissoko for end product is to let Dembele get away with murder, but then you watch them, see what they bring and realise how important they are to the team especially in this current formation we play. Being CM, isn’t just about goals and assists, or Modric wouldn’t attracted Real Madrid. Dembele on his day is the link between defence and attack, whilst also being strong defensively. When asked who the best player at the club is, every Spurs player says Dembele. Sissoko is more like Crouch, has good games internationally, but doesn’t set the world alight at club level. At 29 this year, I’d rather his wages were removed and distributed to more vital players and his spot taken up by someone with potential, eg Winks or a new signing. As has been pointed out he plays in Dembele’s position and Dembele has injury problems, you have to manage him carefully. Add to that Winks injury and loss of form and Sissoko will often get in the team almost by default. Its all very well saying sell him but before you do that you need someone who can do the same job better. The posts have been a bit quiet on who we bring in. Didn’t want sisoko to start with and wanted spurs to sell last summer, however, he has grown on me playing in a more central role and like Dier has proved to be a good standard squad player i would keep him for at least another season. Spurs need to sell the dead wood : Gkn, Lorente and Janssen. What is happening with Winks, Onomah, Kwp and CCV? are they being sold or kept? lots of business to be done in the summer. Agreed Palmover. Almost all of our loanees have made no impact at the clubs they have been sent to. Only CCV is showing his worth. I believe we will sell Onomah and Edwards this summer and a few others. Edwards seems to have real attitude problems, so sad for someone with so much potential. My hope for him is that he really begins to listen to his coaches and changes for the better over the latter part of the season. Our new scrapegoat! takes the attention off Dier..
Sissoko is finding his feet.It takes longer with some players e.g. Lamela. He is more effective than Dembele when we have to counter-attack at speed & I’ve noticed how improved his final ball is ,allied to his speed & power.If he scored more goals we’d be raving about him. Poch’s coaching is working. He played well in the last game and seems to be improving in a central role. We should keep him as a squad player. Hearing the crowd sing his name will do him good as I believe part of why he has played do terrible at times is confidence related and in knowing the fans thought he was crap. He?s not an ideal player but can do a job and seems a good professional with decent defensive awareness. He was a last knockings face saving signing in the first place, lacks quality, class and vision. He is athletic, has a good engine and physical presence, but unfortunately rather than running marathons he is employed as a pro footballer and at this he is severely limited. The problem in getting rid of him is that we would only get half of the unbelievably inflated fee we paid for him, back. Not one of the brightest bit of transfer business we have ever done, no wonder we weren’t killed in the rush to get to the front of the queue to sign him, in short we were seen off big style. Not the best signing the club has made. oh well. i’ve seen worse in our kit. but i’ve seen better too. Palmover, you say that Sissoko is like Eric Dier in that Eric; “Has proved (proven) to be a good standard squad player”. I’m not sure what that means exactly. Surely they are all squad players. But, if you mean that they are both good standbys or reserves to others, then I have to agree that yes, Sissoko has indeed been a good standby as well as an occasional starter. But, unlike Moussa, Eric is no reserve. In the past 4 seasons that Dier has been at Spurs he has played in just 2 matches less than Harry Kane has in the same time, since season 2014-15. Harry has made 178 appearances in all competitions and Eric, 176 apps. And Eric has been a starter in the vast majority of those matches. And, given Kane’s injuries last season, Dier actually played for more minutes overall than our top striker did. So far this season, Eric has also played more minutes than Harry has in all competitions. Only 2 of his apps this season have been as a sub, which, coincidently, is the same as Harry. The stats didn’t surprise me at all because I watch every minute of every game. And what they show, is that Eric is one of our main, regular starters, and has been since he arrived. Sissoko of course, has not. To a far lesser extent, this season, I will say the same for Moussa Sissoko. He has been a very useful and flexible player for THFC. Much like Dier has.